I read so many great books this month. I'm not even sure I could pick a favorite from this group of books. With the holidays over and the colder, dark winter nights I've had lots of time to read up and have thoroughly enjoyed all of these books! 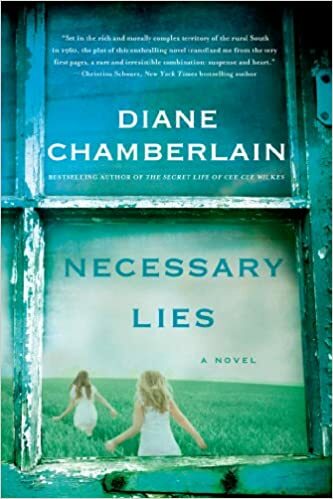 Necessary Lies-- By Diane Chamberlain. I can not say enough good things about this book! I just LOVED it. A historical fiction novel set in South Carolina in the 1960's, a young newly married middle class woman becomes a social worker for the state. She starts working in a rural tobacco growing county and immediately takes to a few of the families she's working with. This book is set in a time of state- mandated sterilization and racial tension when women were not always encouraged to work. Sometimes some lies are necessary. 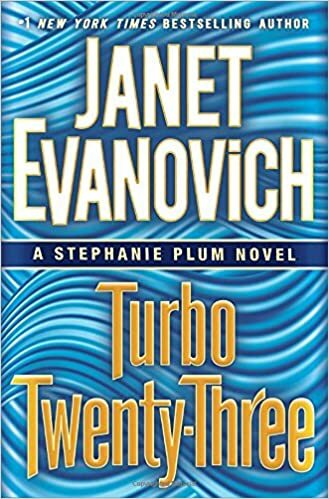 Turbo Twenty- Three-- by Janet Evanovich. I just love the Stephanie Plumb series so when I got the latest book for Christmas I just could not wait to start reading. In this latest book Stephanie is helping Ranger by going undercover at a local ice cream factory where workers are mysteriously turning up dead... and frozen. I read the whole book in one day! 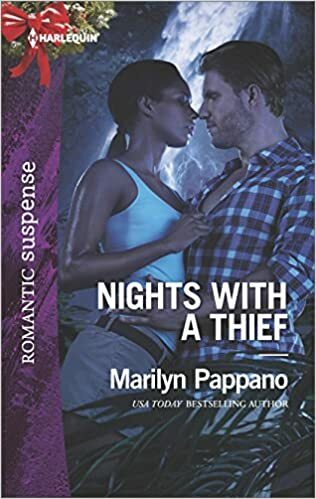 Nights With a Thief-- by Marilyn Pappano. This was a cute and simple story about two thieves who end up falling for one another. Lisette has been groomed to be a thief all her life; recovering stolen property and returning it to it's rightful owner. Her training does her little good when it's finally time to retrieve her own priceless family heirloom from the island fortress owned by Jack Sinclair; a man who makes Lisette's heart sing. 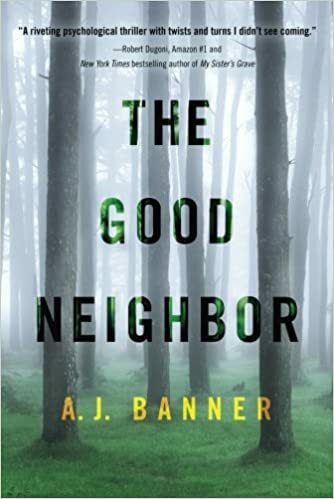 The Good Neighbor-- by A. J. Banner. Sarah's world starts to fall apart the night she wakes to find her neighbor's house on fire. After trying to help rescue the trapped family members Sarah's own house catches fire and she looses everything. Trying to rebuild their life together Sarah uncovers one shocking secret after another. 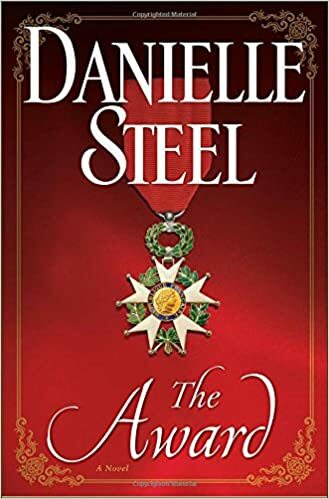 The Award-- By Danielle Steel. I LOVED this book. Set in France the story reflects on the life of one girl whose life changed the day the German army began occupying France. Her family estate becomes the headquarters for the German army and after the loss of her family she turns to the French Resistance; helping deliver Jewish children to safety. The story details her whole life from the time she was 16 to 95; when she is finally awarded a medal of honor for her work during the war. 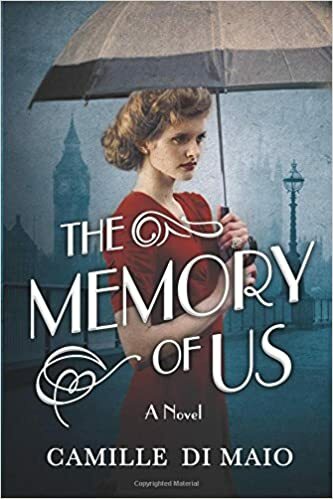 The Memory of Us-- by Camille Di Maio. Julianne is a wealthy debutante who is unhappy with her life. This book is set in England right when it's on the cusp of World War II. Determined to forge her own path Julianne attends nursing school and falls in love with the gardener's son. Defying her parents she vows to marry the man she loves and just as it seems that everything she has always wanted is within her grasp war is declared and her world is literally torn apart. The book follows her through her life and the difficult choices she makes to adjust to life after the war reflecting the whole time on her love for Kyle. 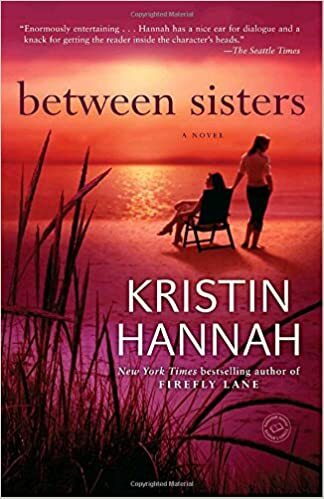 Between Sisters -- by Kristin Hannah. A touching story of two sisters who grew apart as life and circumstances seemed to keep pitting them against one another. When the younger sister announces she's getting married it seems like the perfect time to mend fences. Trying to reforge the bond they had when they were young takes a lot of tact and understanding and just as they seem to have found each other again a fatal illness threatens their newfound bond. 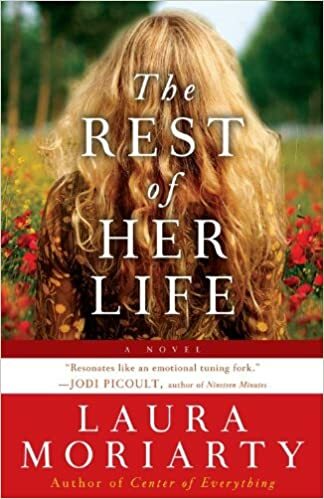 The Rest of Her Life- By Laura Moriarty. When Leigh's daughter Kara makes a tragic mistake Leigh is at a loss to help her. This book showed us the struggles mothers and daughters can often have and the complicated relationship between children and their parents. Leigh is desperate to help her daughter navigate this mistake so it doesn't ruin the rest of her life but he's helpless to know where to start. What an enticing list! As a mom of a high-school senior, my reading time these days has been diverted to scholarship applications and trying to figure out exactly how much deli meat I need to feed 300 people. ;) BUT: this summer, my daughters and I are taking a trip to Cape Cod with my parents, and I intend to read like a madwoman! Have pinned your post for future reference...and something to look forward to once I round up a few thousand dollars in free money. ;) Happy reading...stopping by from This Is How We Roll! So glad you enjoyed it! 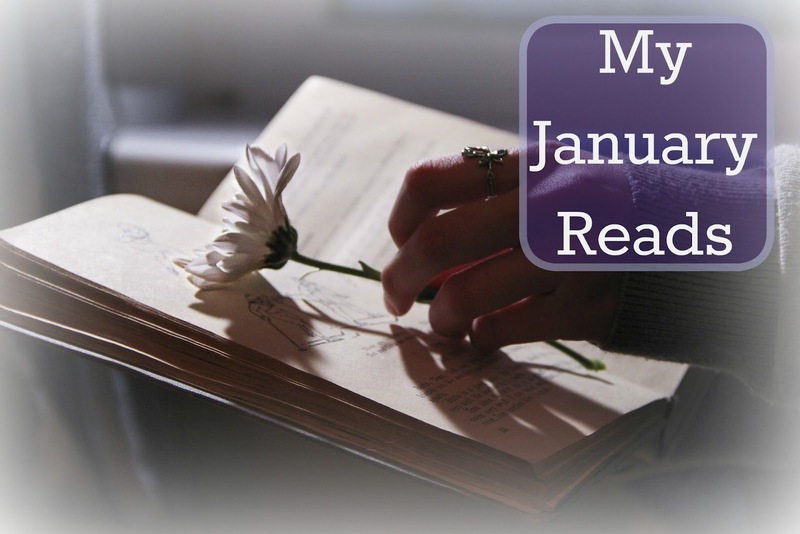 I usually can only find time to read while boys are at karate (an hour and a half class once a week) and occasionally on the weekend if we're going somewhere and my husband is driving.... and perhaps a night or two during the week when everyone else is watching TV. You're quite the reader! Looks like a varied selection too. Good for you! I'm currently reading a "A Proper Romance" called, Edenbrooke, by Julianne Donaldson. I might have to read The Award. I loved it; but I usually love anything about World War II. Is it rude of me to demand to know how you find time to read??? Props! Mad respect. Love love LOVE Janet Evanovich! I got Turbo 23 for Christmas too! She's the best! Those books always make me laugh out loud. 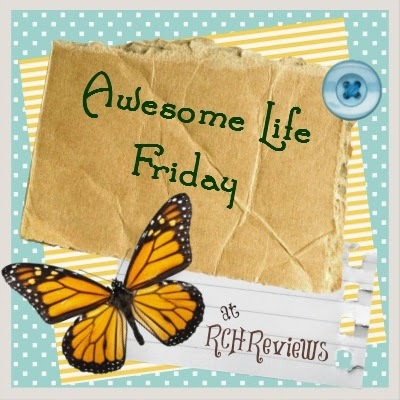 Thanks so much for sharing over at Friday Frivolity. I always love learning about new books! Thanks for sharing this list with us at #FridayFrivolity! Thanks for stopping by! I just started February's list today... another good one. This looks to be a great list of books to read! I was a creative writing major in college and wanted to a romance novelist at one point. Maybe when I retire I'll get back to writing romance! Thank you for participating in this week's #fandayfriday link party! I hope you get some great traffic to your site this week and hope to see more of your blog posts at next week's party! I've always wanted to be a writer and have started writing a romance novel several times... but I don't usually make it very far before life gets in the way. Thanks for sharing at Funtastic Friday. Some of these books I will have check out! I'm so glad you found some worth checking out.